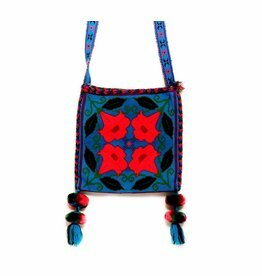 Many long hours of work by highly skilled artists are necessay to create this weaving, emboidery and needlepoint. 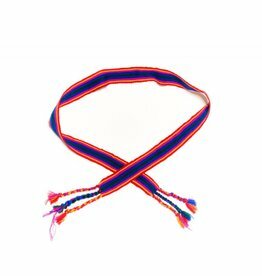 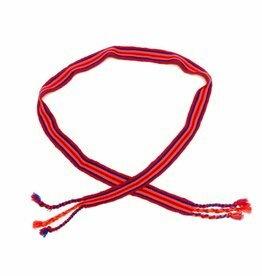 The designs are traditional representations of Huichol Spirit Helpers. 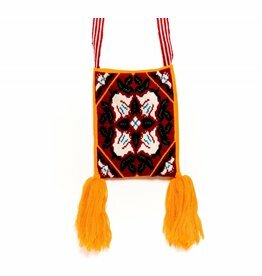 Hand Woven 10" by 10" Medicine Bag (Huichol). 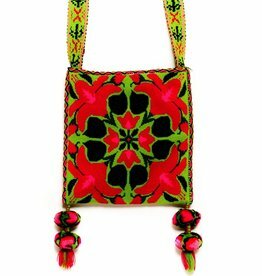 Hand Woven 6" by 6" Medicine Bag (Huichol). 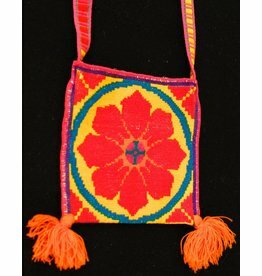 Medicine (Peyote) Bag 11" by 10" by Francisco and Velina Hernandez (Huichol). 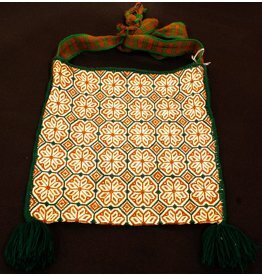 Hand Woven 11" by 11" Medicine Bag (Huichol). 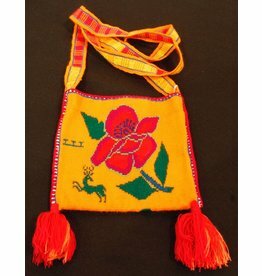 Medicine (Peyote) Bag 7" by 6.5" by Francisco and Velina Hernandez (Huichol). 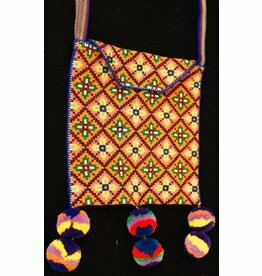 Medicine (Peyote) Bag 8" by 8" by Francisco and Velina Hernandez (Huichol). 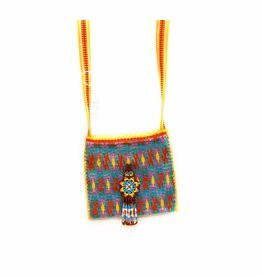 Medicine (Peyote) Bag 6" by 6" by Francisco and Velina Hernandez (Huichol). 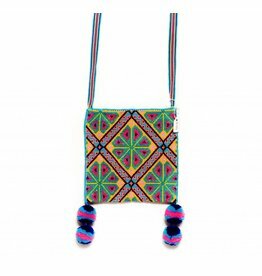 Medicine (Peyote) Bags by Francisco and Velina Hernandez (Huichol). 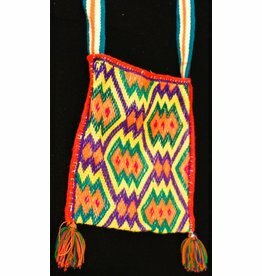 Hand Woven 10" by 8" Medicine Bag (Huichol). 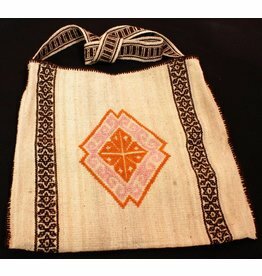 Hand Woven 4" by 4" Medicine Bag (Huichol). 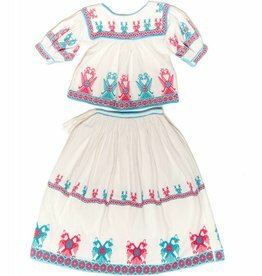 Embroiderd Skirt and Top (Huichol). 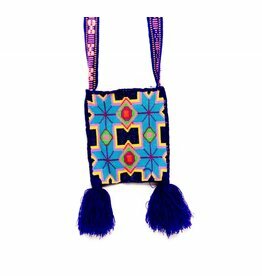 Medicine (Peyote) Bag 14" by 14" by Francisco and Velina Hernandez (Huichol). 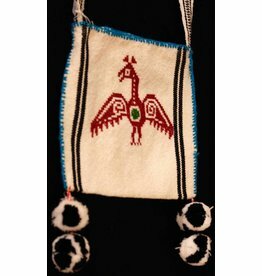 Medicine (Peyote) Bag 7" by 8" by Francisco and Velina Hernandez (Huichol).